I love branching out and trying new products and brands, and today's one of those occasions, as I've been trying Shu Uemura for the first time. 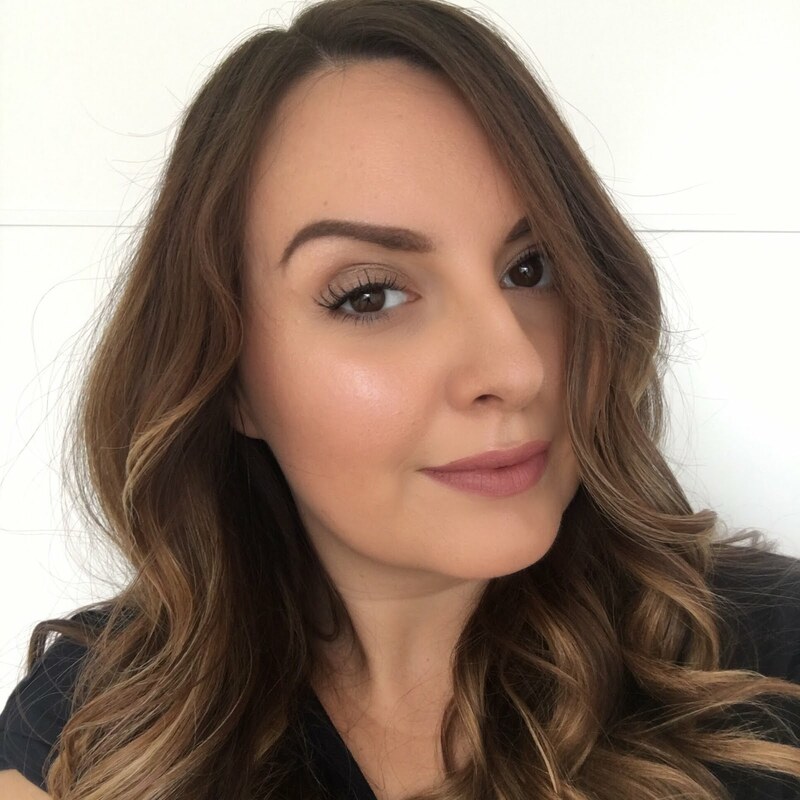 The brand's completely new to me, and although I didn't know much about it before, I'd thought it was predominantly a makeup brand, and I'd not realised that there's an extensive range of skincare too! 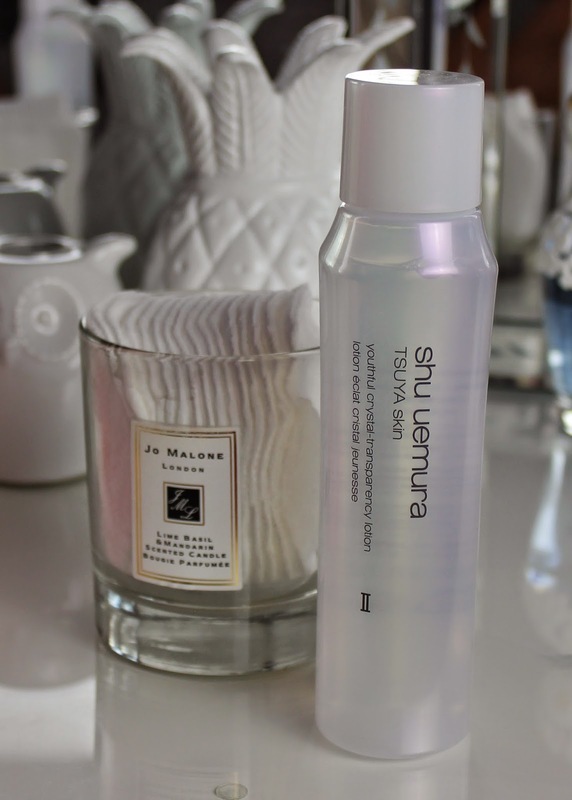 The skincare product I've been testing out is Shu Uemura's Tsuya Skin youthful crystal-transparency lotion - a long and slightly confusing name, but I understand 'Tsuya skin' to mean ideal skin, and that lures me right on in. It contains a purifying active which cleanses the skin from within. The product's referred to as a lotion, and I think it falls somewhere between a cleanser and a toner, and that's how I've been incorporating it into my skincare routine. I didn't realise it at first, but the lotion comes in three formulations for different skin types. I have number two, which is for normal to dry skin. There's also one for oily skin and very dry skin. My skin is the definition of combination, so I probably would have chosen the one for normal to dry. Shu Uemura say their youthful crystal-transparency lotion is able to create the ideal skin texture, which is supple, with petal soft, dewy touch and a healthy glow. Well I wouldn't say no to that! The lotion aims to smooth the skin, tighten pores, refine the skin's texture and tone, and improve the luminosity and transparency of the skin. Does it achieve it? For the most part, yes. I've been using the lotion as my first step after cleansing, and sweeping it all over my face with a cotton pad. It doesn't sting or tingle like some of the exfoliating toners I've used - it feels quite water-like and leaves my skin calm and ready to absorb my moisturiser. Using this lotion gives my skin an awakened effect which I really like, and it does work to tighten my pores too. I have some really enlarged pores in certain areas, so I've been really pleased with how it's working there. Sadly I can't say that my skin's become petal soft, but it has worked to even out the tone of my complexion, as I can be prone to a lot of uneven and red patches. The Shu Uemura youthful crystal-transparency lotion costs £39 for 150ml from shuuemura.co.uk. It's a lot more expensive than any other toners I've tried, but it is quite a large bottle, and you only need a small amount each time. My first experience with Shu Uemura has been a good one and I'm keen to see what else they have to offer. Japanese beauty products and treatments really intrigue me as usually they're totally different from the mainstream products we have in the UK, plus I love the flawless, doll-like look that a lot of Japanese beauty brands promote. Are you a fan of Shu Uemura? What products do you recommend? Yep I know what you mean - my friends all have different skin types from me, so when something doesn't work out for my skin they're always happy to give it a go! This sounds so lovely, but the price is off putting, especially as I love my Clinique one. May put it on the Christmas wish list!